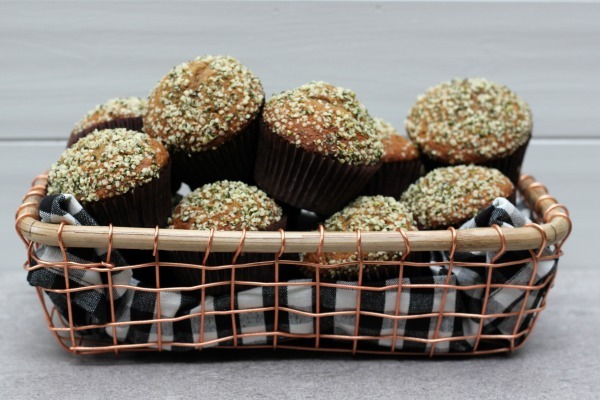 I just discovered that I have 28 muffin recipes on my blog. as pure maple syrup or honey. granulated sugar, but has healthy mix-ins like flax seed, chia seed and hemp hearts. breakfast each morning with a cup of hot tea. So good! 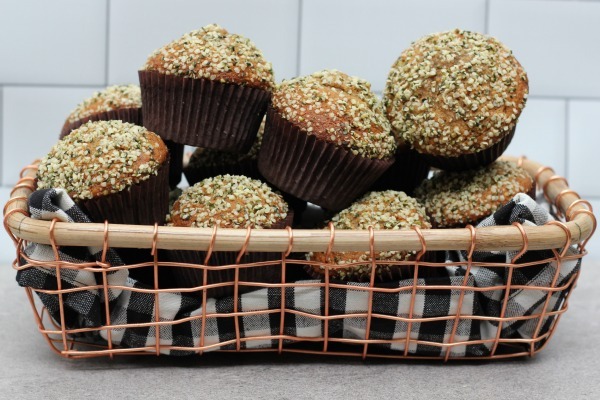 You can find other delicious muffin recipes here, here and here. In a medium mixing bowl sift together flour, cinnamon, baking soda and salt. 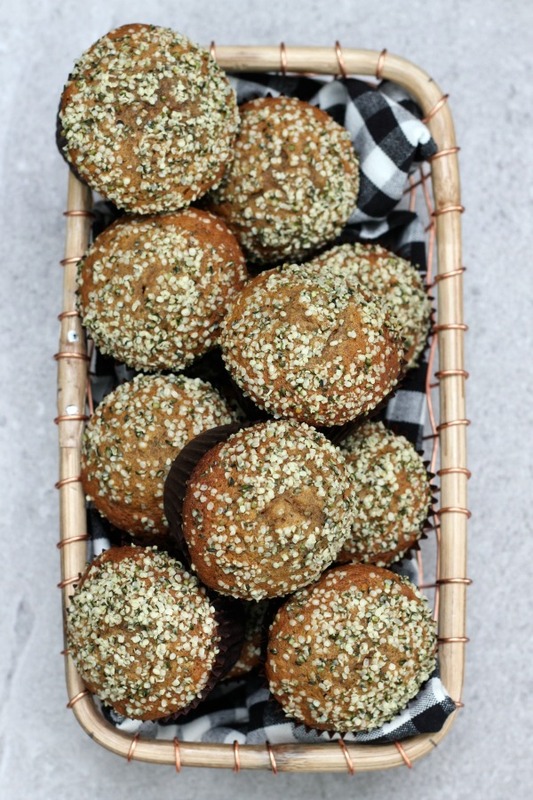 Whisk in hemp hearts, flax and chia seeds. In a stand mixer with paddle attachment, combine bananas, sugars, oil and eggs. Add flour mixture to wet ingredients in two additions, mixing after each addition. 1 tsp. 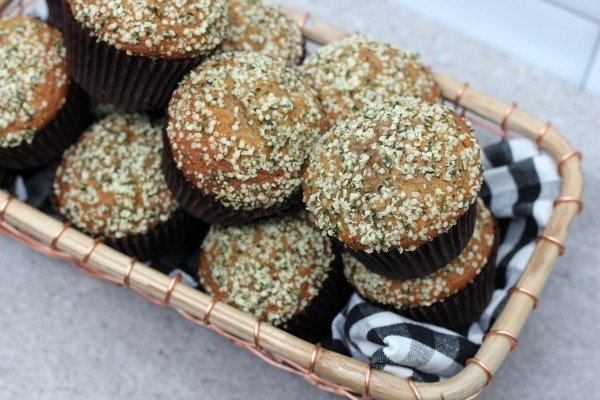 hemp hearts. Bake for 18-20 minutes or until lightly browned.